Lovely neutral hair pin pearls for the bride, bridesmaid, or anyone looking to add some classic charm for a special occasion. 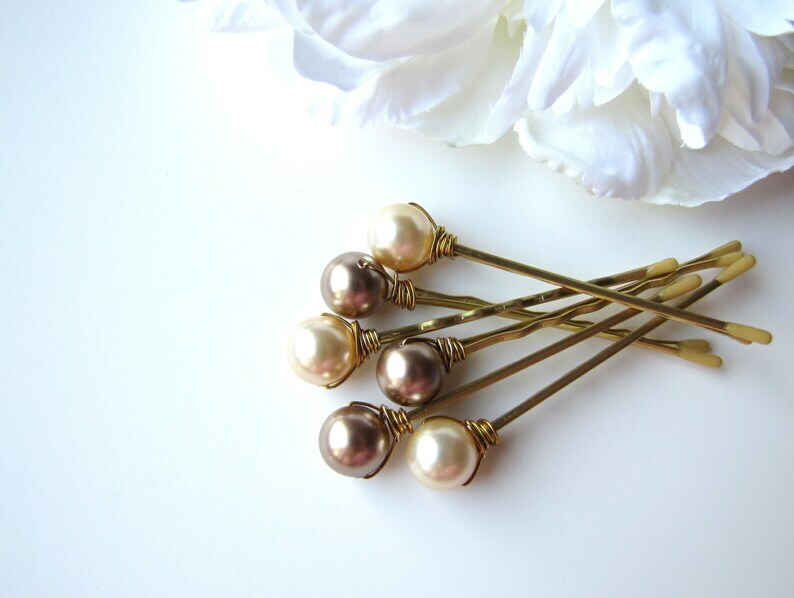 This combination of Light Gold and Bronze pearl pins add subtle elegance to your updo or soft braid. If no choice is indicated, gold/blonde bobby pins and wire will be used, as shown. Please allow 2-3 business days for your order to leave my studio.